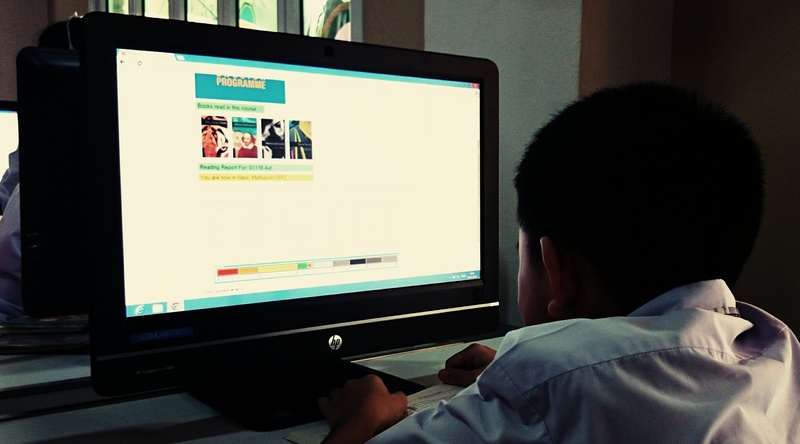 The English Programme students at Varee Chiangmai School have now begun using a new online resource (www.mreader.org) to monitor, track and assess their progress through the school’s reading programme. M-Reader is a online tool developed with research funds from Kyoto Sangyo University in Japan which has a database of over 3,000 graded reading books. Schools allocate students individual accounts on this website which students login to when they have completed a reading assignment. Students then take a comprehension test to ensure they have read and understood the book. The books are then added to their account. Teachers are then able to monitor their students’ progress though the school’s reading programme. I m trying to register in that new online Japanese reading program ,reader but can t log in,how do we get an acces code?